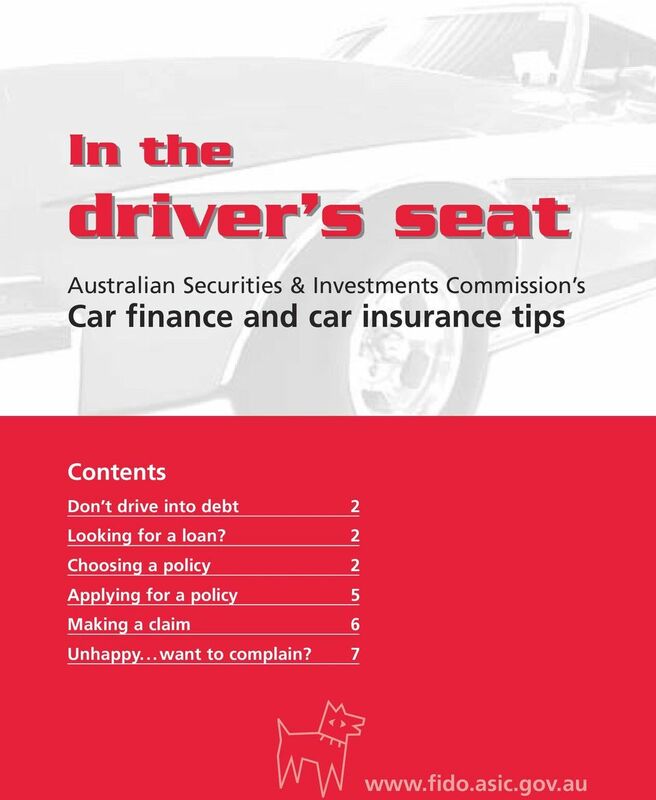 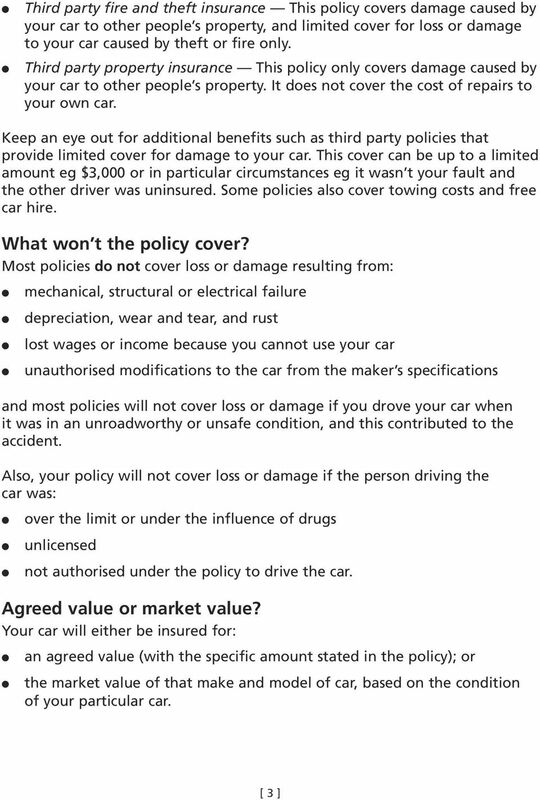 Download "driver s seat Australian Securities & Investments Commission s Car finance and car insurance tips"
WHO IS AT FAULT? 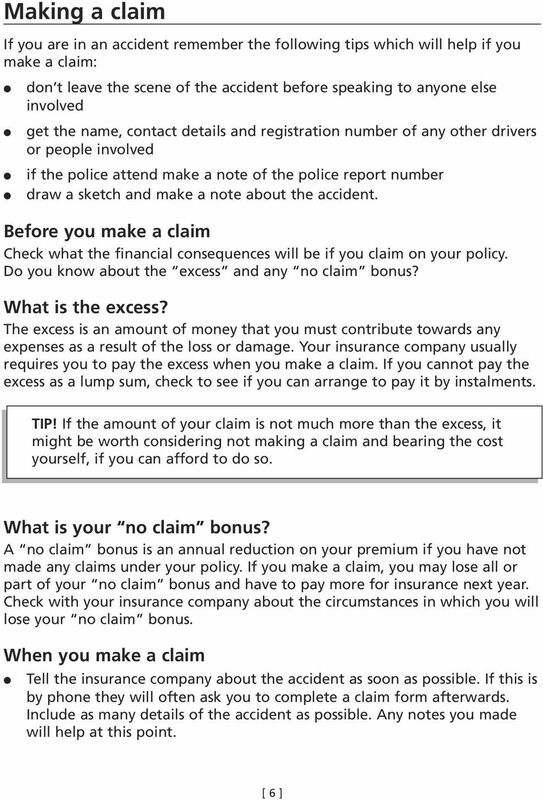 I VE HAD A CAR ACCIDENT AND I M UNINSURED! 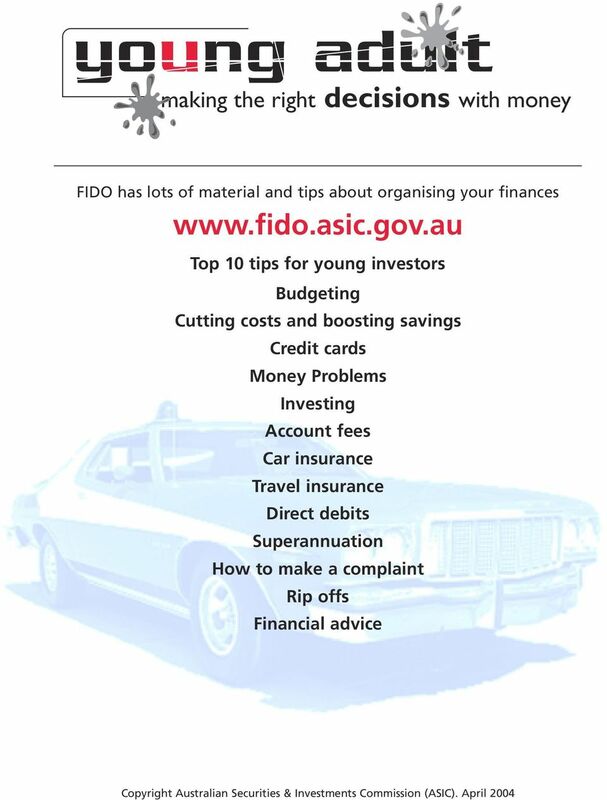 debt Managing debt Easy to get into, harder to get out Inside... 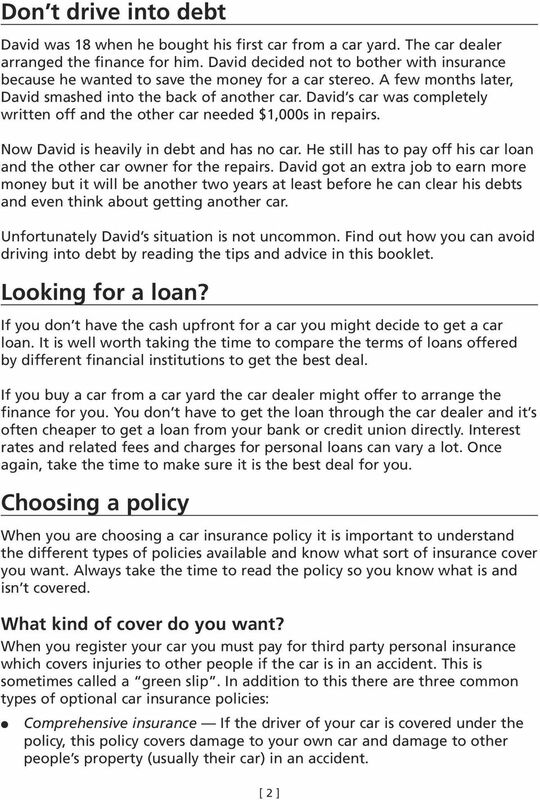 Think before you borrow Know your options Make a debt repayment plan Think before you borrow Borrowing money is called getting into debt. 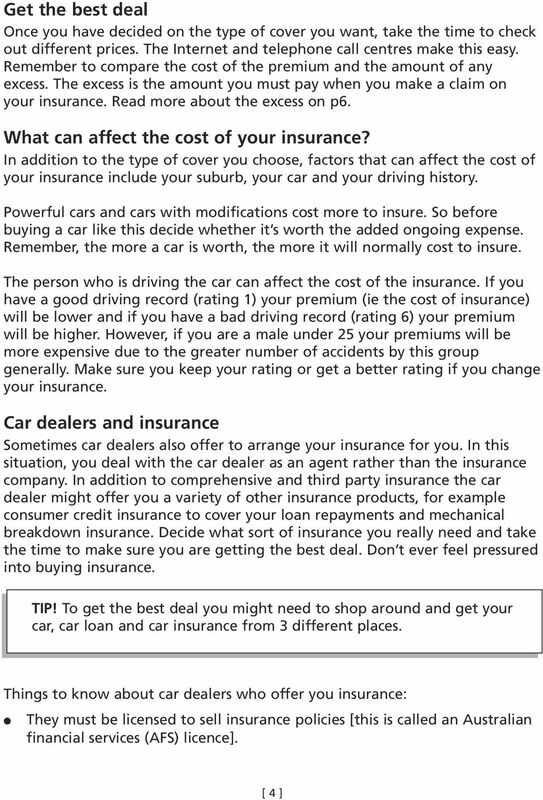 DISPUTE RESOLUTION (INSURANCE) This fact sheet is for information only. 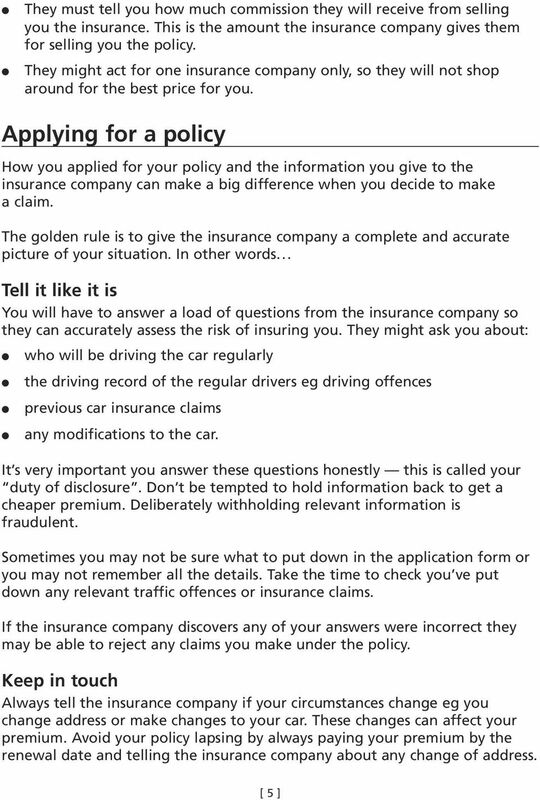 It is recommended that you get legal advice about your situation. 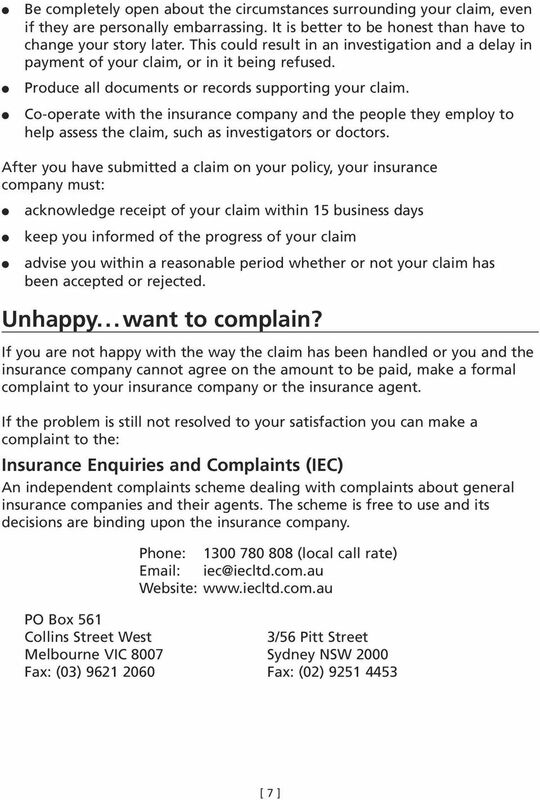 CASE STUDY Dan was very frustrated with his insurance company.